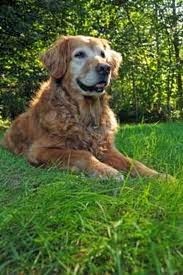 "We just can't say enough about Resveratrol For Dogs. It has given our dog Tabitha so much energy. Tabitha has bladder cancer and we started her on this product along with the OncoPet. We followed your diet recommendations and she really is acting like a puppy again. We know it won't last forever but we are so grateful for all the extra time you have given us with Tabitha". Resveratrol, a compound found in various plants, has anti-inflammatory and anti-cancer characteristics. Both humans and pets can benefit from resveratrol. With extensive research, resveratrol has been found to provide anti-aging, cancer protection and support, cardiovascular support and immune system support. Resveratrol seems to re-balance and support immune function without hyperstimulation which can yield exciting results, increased energy. Perhaps the most exciting area is the use in cancer patients and the prevention of cancer. According to the National Cancer Institute, resveratrol has been shown to reduce tumor growth in animals by affecting one or more stages of cancer development. It seems to be able to inhibit cancer cell growth and metastasis. Studies are ongoing, but adding Reveratrol for Dogs to your pet's protocol could be very beneficial.